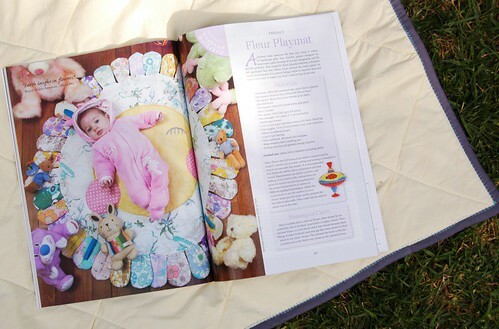 at last, here is the fleur playmat pattern in print, available in Homespun magazine. it seems like so long ago i was working on this project and that i was working on it for so long! i made a protoype first, knowing it would be for my baby and when i finished that one, i decided that it needed to be larger and with more petals, which is what you'll see in the magazine. 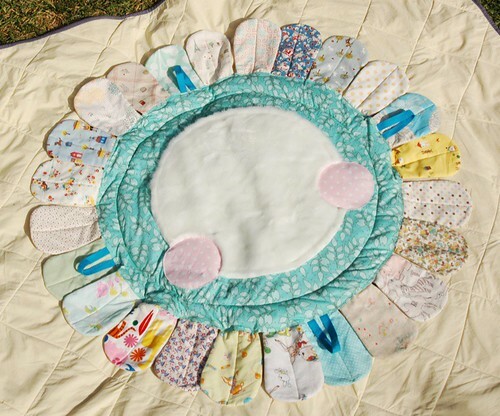 the finished pattern is a perfect size, i think, big enough to accommodate some fun tummy time for months. for mae's i used faux fur on the center circle and didn't do the eyes as i didn't think they'd show up through the fur. i like it either way and think the eyes could be nice done in an applique stitch or by embroidery, too. there are little straps added in to attach toys to, which we've used quite a bit. 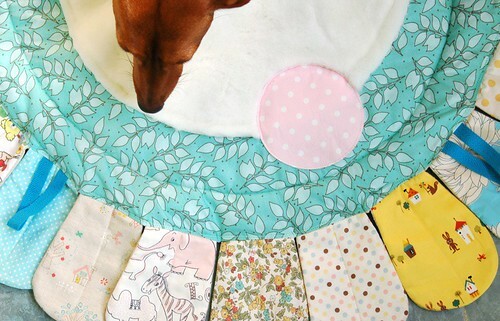 lately mae has been spending a lot of time in the jolly jumper and we've been putting her playmat under her so she can feel the faux fur between her toes and look at the fabric petals. if anyone is going to have a go at making one, please let me know as i'd love, love, LOVE to hear how your experience with the pattern goes and see the end result! This is so cute! I'd love to make one for my bub, but have looked in two newsagents and can't find this magazine? Where is it available? What a wonderful acheivement. How exciting. It looks just gorgeous. Oh, wow. It is an absolute delight. Congratualtions on publication. wow. it looks wonderful. there in the magazine. with your little one on it. and baxter, too. whoohoo! oh it's so gorgeous! Congrats on the magazine and Mae is looking so adorable! Hope your days are getting a bit easier. Congratulations! It looks awesome in there. Very professional! If bubs doesnt come out until after NYE I might even give it a go :) Thanks for lunch the other day, it was lovely to see you again! Such a beautifully made and brilliantly constructed play mat. Congratulations on the mag feature! I love it! 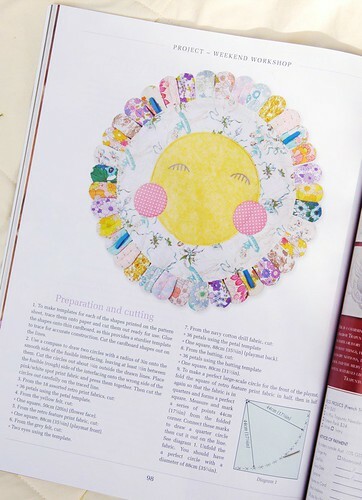 I bought the magazine and then saw your pattern and name and got very excited for you! I actually really like homespun magazine and got a subscription as they're putting more bloggers in and 'groovier' less country cottage patterns! well done, I will be giving it a go and wondering will I do one boy and one girl one or just one for my two! not sure! anyway love the pattern and hope you get to see your name published again! oh wow - the fleur playmat is amazing!!!! !